Read the UBC Library Strategic Plan 2010-2015. University of British Columbia’s Peter A. Allard School of Law, one of Canada’s leading law schools, is committed to being one of the world’s great centres for legal education and research. As part of an outstanding public university situated in one of the most open, diverse and beautiful places in the world, we offer an inspiring environment that combines rigorous professional legal training with an awareness of the role of law in society. The Allard School of Law offers a varied program of instruction in a broad array of legal fields to academically talented and diverse law students in the JD, LLM, LLM CL, Tax LLM and PhD programs. Our faculty members encourage students to develop creative and effective approaches to legal analysis and problem solving. UBC Law is housed in a new, state of the art law building, Allard Hall, designed to fully support teaching and research. Find more information about the UBC Faculty of Law. Provides access to the collection and meets the information needs of Law Library clientele. Provides reference, research and instructional services; develops and maintains online learning resources; develops and maintains the collection; evaluates and promotes collections and services. Participates in the operations and management of the Law Library. Relevant professional experience appropriate to academic law librarianship. Familiarity with legal bibliography and legal research methods. Strong oral and written communication, interpersonal, and computer skills. Commitments to responsive and innovative information services and to professional growth. A law degree from a common law jurisdiction. Collection development experience in an academic library. Experience in course design and delivery, both online and in a classroom setting. Provides research and reference services to UBC students, staff, and faculty; members of the legal profession; and members of the public. Supports the research needs and the dissemination of research results of Law faculty and graduate students. Prepares and maintains research and course guides, to support the Law Library’s reference and instruction program. Provides training for support staff to enable them to participate in the Law Library’s information services. Contributes content for print signage, digital signage, faculty newsletters, display cases, etc. Contributes to the ongoing presentation, functionality, and content of the Law Library website. Evaluates and promotes information services. Selects materials for purchase in specified jurisdictions and subject areas. Responsible for the selection, ordering, technical troubleshooting and maintenance of the electronic resources. Liaises with vendors regarding potential new subscriptions, price negotiations, technical platform issues, and product specifications. 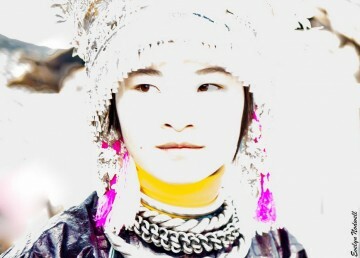 Participates in collection development projects, including the evaluation, deselecting, and relocating of materials. Identifies materials suitable for digitization, seeks funding opportunities, and completes grant applications. Develops and maintains a casual reading collection for the Law Library. Teaches in the first-year legal research and writing programme, the second and third year refresher programmes, advanced legal research classes, as well as subject-specific classes. Develops course content, teaches workshops and classes, and evaluates their success. Coordinates requests for legal research instruction from outside of the Faculty of Law. Conducts orientation sessions and provides tours. Participates in the institutional development of law librarianship through membership in, and contributions to, professional associations. Participates in the work of the UBC Library system and the campus community by serving on relevant task forces and committees. Reports to the Head of the Law Library. Works with faculty, staff and students in the Faculty of Law and elsewhere at UBC. May supervise the work of library assistants and manage projects and services. We are seeking applications from Librarians with up to 7 years of experience. However, all internal candidates will be considered regardless of years of experience and are encouraged to apply. To view the complete job description and to submit an application, please visit the UBC Careers page by midnight on March 26, 2015. 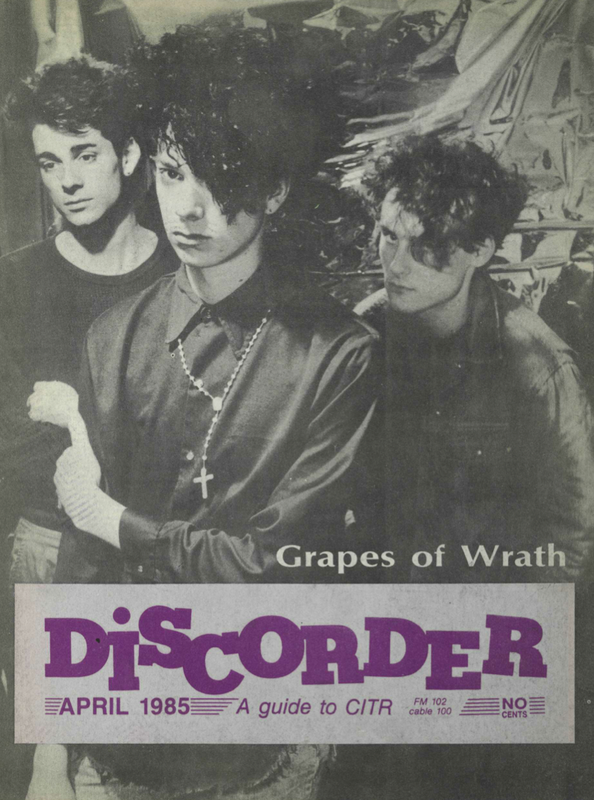 A Discorder magazine cover, circa 1985, featuring Grapes of Wrath. Indie music aficionados can now comb through a 30 year online archive of one of Vancouver’s longest running magazines, Discorder, thanks to a collaboration between CiTR 101.9 FM Radio and UBC Library’s Digitization Centre. The Library has completed digitization of the magazine’s entire run, beginning from February 1983 to the present, providing a retrospective look at Vancouver’s independent music and arts and culture scene. “This project provided a great opportunity for UBC Library’s digitization program to open doors to current and new fans of this important publication and to digitally preserve a key piece of Vancouver’s cultural history, “ says Bronwen Sprout, Head of Digital Programs and Services at the Library. Dedicated to covering local music, arts and culture, Discorder – published by CiTR, UBC’s student radio society – has chronicled the stories of bands forming and breaking up, venues opening and closing, musician collaborations and jams on different projects, reviews of long-forgotten albums, and shows that describe the grit and glory of Vancouver’s music scene. CiTR is currently embarking on its annual Fundrive, to raise $40,000 to launch a new website and continue digitizing its collection of reel-to-reels. This audio includes live performances of local bands throughout the 90’s, including Maow, Destroyer, D.B.S. and more.